It's a lovely day out, and what better to talk about on a lovely day than comics. 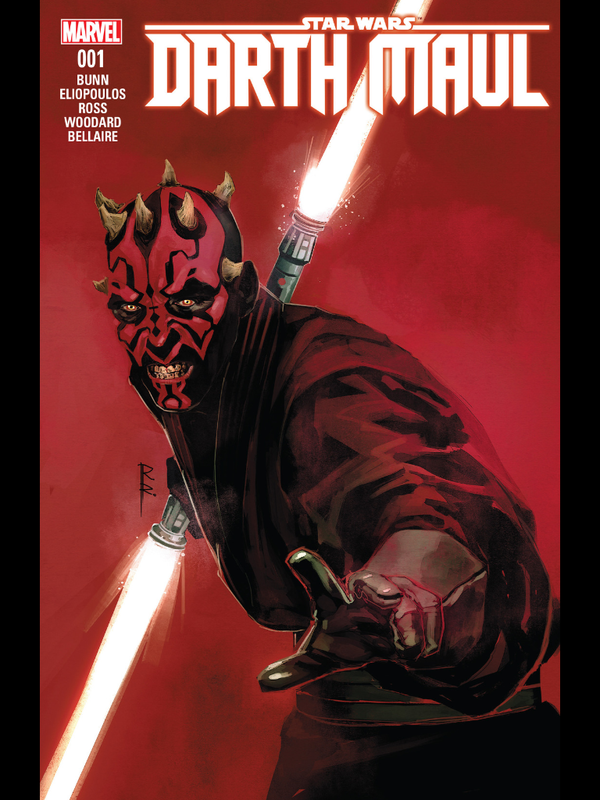 I have to admit, I've been pretty behind on my comics lately, but one that I've really been looking forward to is the new Darth Maul comic series from Marvel. The series, which just came out on February 1st, takes place before the events in The Phantom Menace and explores how Darth Maul came to be. Maul, who is studying under the Sith Lord Darth Sidious, is not allowed to engage any Jedi, so he instead spends his time taking out crime lords. While tracking down one such crime lord, he crosses paths with a Jedi padawan named Eldra Kaitis, and Maul decides to try his hand against her, despite Sidious' commands. The series is set to follow along with Maul as he's tempted more and more by the Dark side and even how he was almost swayed from it. Storyline aside, the artwork and layout of the series so far is also really great. I believe the series is only set to be about 5 issues, so that means it'll no doubt be chock full of action and a deeper look into the Zabrak warrior. Marvel have been doing some bomb Star Wars comic series, so I knew that this one was going to be no different. And who doesn't love Darth Maul? Sith or not, he's badass, and I for one am so excited to see how this series unfolds. Has anyone checked the series out? Lemme know!